I love coffee. I come from a coffee drinking family, so for us, getting out of bed without a cup of coffee means someone must be getting a surgery. Coffee has been noted recently to have many health benefits, but literally, drinking coffee reduces your chance of dying. The study mentions that decaf has a health benefit for those that don’t want caffeine. I like my coffee with cream or any milk, or black. 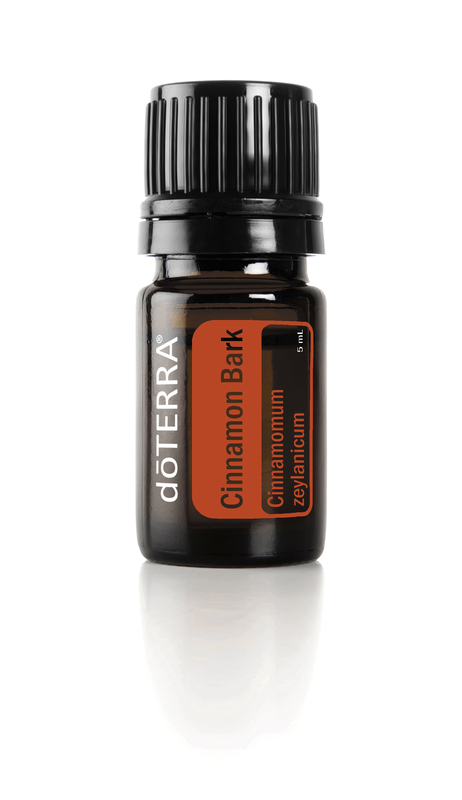 Sometimes I add one drop of doTERRA Cinnamon Bark to add flavor and an extra metabolism boost. Thanks for visiting, got grab yourself of coffee. I am a Doterra wellness advocate, and I’m happy to answer any questions about getting started with essential oils. More information can be found here. I am still learning the ropes of blogging. As a doctor I discuss depletion most days. Here is my quick thoughts on how a depletions shows up. Sipping on more water throughout the day. This is a very quick list and by no means all inconclusive. I have been inspired by so many other bloggers since starting my blog. Thank you so much for reading. My experience with Reiki is what lead me to start this blog. As I’ve been composing my thoughts, and trying to decide what content I should post about Reiki, I forgot I should share my story of how Reiki found me. I read a beautiful post at My Journey to Reiki that reminded me that as excited as I am about Reiki, I should remember why I am so passionate about Reiki. I found Reiki through yoga. I had started practicing yoga in my home while in medical school. Due to time and finances, it would be over 10 years before I attended an actual yoga studio. A very dear friend of mine told me about Yoga Home of Therapeutics and the owner Sara Alavi. I went to my first class after a devastating break up. I was emotionally distraught and suffering from burnout at work . I attended yoga class with Sara for a few years. After a wonderful class, she told me she was teaching a Reiki class and I might like it. Attending yoga at the studio had done so much for me that I didn’t even hesitate to sign up. After signing up, I forgot to research what Reiki is, and when I arrived for my Reiki 1 attunement, I had no idea what to expect. My experience during my first attunement was like nothing I had experienced. Keep in mind, if you decide to take a course in Reiki, everyone’s experience is individual, and every experience is beautiful. I assumed prior to the attunement that only gifted individuals could see auras, or have empathic abilities. As I felt the internal changes of the attunement, I didn’t realize that soon I would feel some of the same. After my Reiki 1 attunement, I was so happy to have this tool to heal myself. I still had a lot of sadness, and my pressure at work was ever increasing. I felt that Reiki would be a wonderful addition to my self care tool box. So when I saw my first patients after my first attunement, I was completely shocked that I was seeing something. Every patient had a glow. They were all different, and constantly changing. I didn’t always see this with every patient. My left brain, traditionally trained physician brain sought a rational explanation. After many exhaustive Google searches (yes, even when I prefer my patients not to consult Dr. Google) I started to understand this glow was the patient’s aura, or subtle body. I continued to treat myself with Reiki on many days, sometimes just for a few minutes, and as time passed, I became more comfortable with this new sensitivity. Seeing auras is wonderful, but like with any new tool, I am still learning when to work with this. I did notice my empathy was increased. As I saw patients, I could listen to their stories in a much more clear manner. I could sense their suffering beyond what the labs and x-rays told me. I could hear better why they came to see me. Although I had intended for Reiki for my own healing, it was already helping my patients. My Reiki level 1 and 2 training were wonderful, and for the next year, I wasn’t sure I would pursue more training. I was very fortunate to discover Kelly Schwegel as a guest speaker on a podcast. I scheduled a healing session with her and eventually became a member of Kelly’s Inner Wisdom Circle. Kelly holds Reiki certifications through the Inner Wisdom circle and I was able to get my attunement for Reiki 3 and Reiki Master. Some very cool things have happened since I embraced Reiki. I love that I can sense auras, or that I can tap into my intuition when I’m working with a patient with a difficult diagnosis. The self healing I have with Reiki is why I hope readers will become attuned to Reiki. There are so many ways Reiki infuses itself into your life. Its a wonderful meditation to perform Reiki on yourself as you fall asleep. Or to send Reiki to a future situation like a family member’s upcoming surgery. Or to send REiki to yourself in the past during a loss of a loved one. My hope is that if you are wondering if you should let Reiki find you, you will. You may go on to be a Reiki Master with a full practice. Or maybe you Reiki will help you put your baby to sleep at night. But if you are wondering if you should sign up for that Reiki class…you should There is nothing to lose, and love to gain. One of my favorite sources of information on nutrition and health is Nutrition Facts. I have followed Dr. Greger’s work for many years. I find his advice is so easy to apply. Dr. Greger addresses one of the most important aspects of health….nutrition. [Moan…groan…yawn…start to fantasize about favorite junk food]. I like my chocolate too. Anyway here’s an excellent video on diet and brain health. Many patients often ask me how to keep their memories intact. Diet plays a very important role. The idea is that if many of us meditate, we create a healing wave of energy that travels the planet. The meditation requires only 15 minutes of your time, and you’ll personally feel the wave of energy. In my previous post, I covered an introduction to Reiki and the role of the practitioner as the focuser of Reiki. What is Reiki? My description is to provide a framework for those that are not familiar with this healing modality. I anticipate that many readers searching about Reiki online may already be familiar with its wonderful energies. For those readers, thank you so much for visiting, and feel free to contribute in the comments on what Reiki is. In my first post, Introduction to Reiki, I use examples from science that most of us are familiar with. Heat energy travels a certain distance, is perceived by our bodies as “hot”, can be visualized with infrared technology, and has a source. The heat source can be many objects, the sun, a hot plate, or a microwave. Reiki, like x-rays, gamma rays, or ultraviolet rays, also has a source. One of the most powerful aspects or Reiki is the source. The work Reiki comes from Japenese Kanji (symbols used in communication) which are “Rei” and “Ki”. “Rei” translates to Spiritual Wisdom and “Ki” translates to “Life Energy”¹. Acceptance of the “Rei” in Reiki can be the biggest hurdle for anyone that is skeptical. If you have a spiritual practice, the Rei is simply originating from a deity, such as God, Buddha or Allah. The Rei can also come from Mother Earth or any spirit guide that holds strong meaning for that person (please recall this list is not all inconclusive, and I welcome any additions in comments). It is important to note that the “Rei” applies to atheist. An atheist may feel most comfortable with identifying the “Higher Self” as the spiritual wisdom. Because the source of the energy is from something higher than mankind, with only loving intentions is why Reiki is only able to bring good and healing. “Ki”, of “Life Energy” is often compared to Prana in Hinduism (and Yoga) or the Holy Ghost in Christianity². This is the hum of life. The beating of your heart, or the flow of energy. We all have a sense of flow. Most of us notice it as health, simply feeling well, moving through life with little resistance. Yogis, those that practice Yoga, identify this as Prana, and use asana (yoga postures) to help move Prana that has been blocked. Acupuncturist use Traditional Chinese Medicine and needles to unblock Chi. In anatomy, students notice within a few lessons that every region of the human body is supplied by a neurovascular bundle, and often learn the mnemonic NAV (Nerve-artery-vein). Where there is blood flow, the blood must drain, and a nerve helps that area to operate. In a heart attack, an artery becomes blocked. This causes chest pain (through the nerves that sense pain), and must be unblocked by a cardiologist by using stents. In addition to being an energy, due to the divine nature of the source, Reiki heals at all levels because its guided by forces wiser than humans. Reiki is simply facilitated by the human touch, but Reiki will heal the receiver at all levels, including molecular, physical, mental, and emotional. Because of this, Reiki is not limited to the here and now. Reiki can heal in the present, the past or the future. However, if you’re just now learning about Reiki, we should stay in the present for now. Thank you so much for visiting. My intention with this an all entries is to introduce the topic to those that are new. If reading this feels odd, don’t worry, its natural to feel somewhat overwhelmed. I will continue to discuss Reiki and in future posts, will began to cover current research on Reiki as a healing modality in medicine. 2. Baginki, B.J., Sharamon, S. (1988). Reik Universal Life Energy. Mendocino, CA: Life Rhythm. For some elderly women in Japan, prison offers companionship and a life free from worry. I am new to WordPress, but I am so happy I joined. I’m finding the most relevant information through other bloggers. This article came up on my feed. I was absolutely fascinated with this topic. I started reading this article and couldn’t stop. Basically the author is reporting on how lonely living conditions are driving some elderly women to commit crimes in order to be incarcerated. These women feel more connection and well being while incarcerated. I did a quick article search and found research article an article on Pubmed that summarizes that loneliness leads to increased use of health care. As a physician, I treat primarily geriatric age, or patients older than 65. As I’m working through a busy day, I’m aware of a lack of social support. I am very aware of my sickest patients seeming to have the least amount of social support. I am aware of how being lonely affects my patients health. Typically, the human life toward the end is marked by more losses than gains. Loss of career, spouses, siblings, and friends all while being surrounded by a culture that is fascinated with all things youth related. For all its blessings, it can have many negatives. Some say that social media may be driving us apart. I notice in my senior patients, they often have a cell phone, but their life experience has not lead them to show much curiosity in any social media. They will complain that none of their family reaches out to them, not realizing that within a few simple steps, they can connect with all of their younger relatives for free. If you have an older relative, offer to give them a tutorial in Facebook or Instagram. Its a great way to bond, and often opens up a world they did not feel they could be apart of. I’m often encouraging my patients that you can help your brain with aging with challenges. Taking on a new hobby or a class in something you’ve never done stimulates new neural connections and increases overall health. This is a difficult topic. We all want to age, and maybe we’ll find a better way to do this at some point. In my previous post, I discussed the energy of Reiki. I plan to get deeper into that later on, but its important to discuss channeling as this topic is likely to make most people considering Reiki for the first time uncomfortable. I covered the various nature of energy. Reiki is energy at a healing frequency. We as humans require energy to be channeled. Although we are surrounded by energy, its most efficient when its gathered, focused, and aimed in a direction. One example of this, of course, is sound energy. When you are using your cell phone, you can put the cell phone up to your ear. The sound quality doing this is good. You can also use your speaker. The speaker will deliver sound, but it may be hard to hear very clearly if there is a lot of background noise. The best sound quality is using your headphones. The headphones focus the sound energy, block out outside noise, and therefore deliver the highest quality sound making your conversation easier. The role of the Reiki practioner is to focus and deliver channeling energy. The Reiki practioner operates best as a speaker, or focuser of this healing energy. The very nature of Reiki does allow for the practioner to receive some of the healing energy (I like to think of this as a spill over) while aiming this energy for the best effect. Anyone that is into metaphysics already may have concerns about this energy being able to do something other than healing. The nature of the Reiki practioner as well as Reiki energy does not allow for any transmission of energy that does not lead to healing and only serves the highest good of the person receiving Reiki. In healthcare, we already use enery delivery to treat disease. On the other end of the spectrum, radiation treatment used in cancer care also requires something to focus high energy into an area of the body. However, this energy is used specifically to shrink cancer (this is only a comparison, not to be taken that Reiki can replace current treatment, please follow your physicians treatment plans as always). Thanks again for visiting, and I will continue to dive deeper into this topic in later post. Patients frequently want to be proactive and research what’s going on with their bodies. Of course, I’m not readily available, as are most physicians typically not available to answer instant questions (although my practice does have a patient portal that makes it fairly easy to ask questions). So in comes Dr. Google. Of course, I am not criticizing search engines at all…I’m hoping to find readers through a search engine. The issue becomes your symptoms may be serious, and the information that comes back to you may not be relevant, helpful, or could be harmful. I don’t know right away who published this information. Did they study medicine? Are they trying to sell you something? I’ll admit, I am willing to listen to the differential diagnosis generated by Dr. Google, but not for very long. Patient visits are already too short, and I don’t want to waste valuable time sifting through symtpoms generated by Dr. Google. Furthermore, I don’t want you as the patient to be worried about something that may not be a threat. I often ask my patients if they are feeling the need to look up health information to be mindful of the source. To be on the safe side, there are a few websites that I always refer patients because the information is non-commercial (there won’t be a drug company trying to sell you a medication) and the information is vetted. This website provides safe information concerning conditions and medications for you and your entire family. One of my favorite references for herbal supplements. I routinely consult this for information on herbal supplements. I use Google just as everyone else does, but often during a visit, I don’t have the luxury of telling patients why I can’t use Dr. Google’s recommendations while I’m taking care of my patients. Just as a reminder, these substitutes are not replacment for emergency situations or questions, so if you are having an emergency you should still go to the ER or call 911.